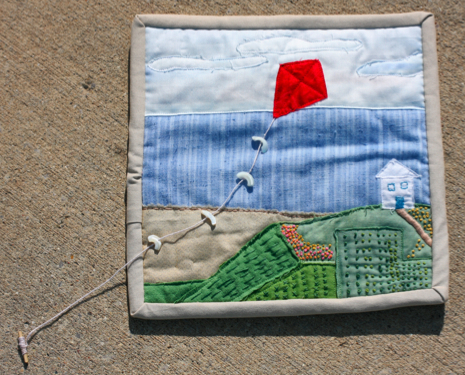 Bev and I are still making art quilts and writing about them every month over at Posted Stitches. I invite you to check it out and tell us what you think . The quilt above is Side A of my August “Dreams” quilt. You can read more about it here and see Side B here. And you can find my July quit here.